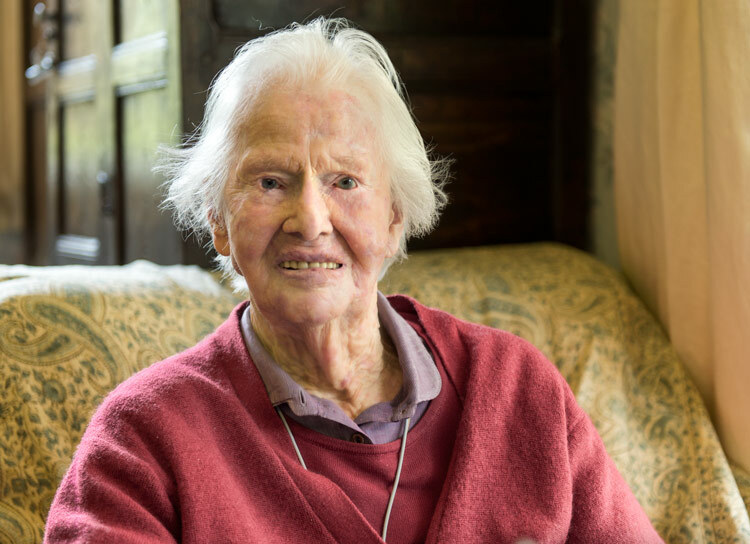 A new biographical documentary (75 mins) by Rebecca Huxley and Mike Tomlinson was launched on 23rd February 2019 at St Hugh's College, Oxford, where Nancy studied. The showing concluded a Women in Archaeology Study Day. There were two more showings on Saturday 2nd March and Saturday 9th March 2019 in the Timberyard Room, Little Tew. We may arrange further showings - please email with requests and to suggest dates. A showing is planned at Charlbury Community Centre in the afternoon of Sunday 19th May. Further details to follow. 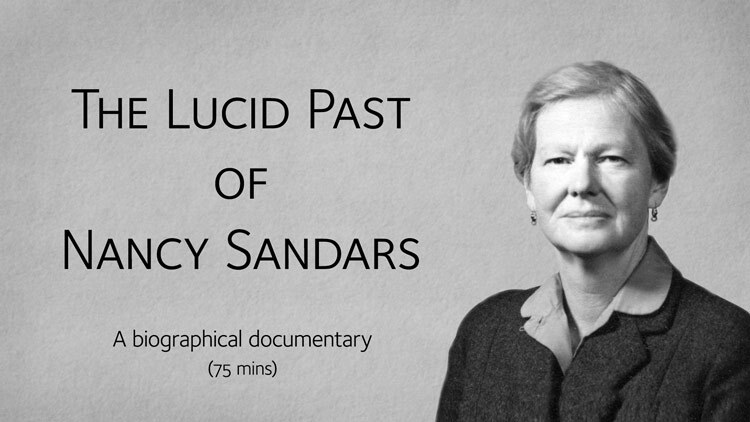 The biographical documentary, 'The Lucid Past of Nancy Sandars', is a film by Mike Tomlinson and Rebecca Huxley (Nancy's god-daughter). The film is based on an interview with Nancy in 2013, in which she discusses her long and remarkable life, and also features interviews with those who knew her and her work. Nancy was a celebrated archaeologist and writer. She specialised in the Bronze Age and wrote a number of books on this period of prehistory. She also wrote a translation of the ancient Mesapotamian poem, The Epic of Gilgamesh, which was published by Penguin and sold over a million copies. She has been appreciated particularly for the accessible and lucid style of her writing which brought past times to life. Less well known is the fact that her archaeological career was interrupted by the Second World War, in which she worked first as a motorcycle dispatch rider and then as part of the WRNS top secret 'Y Service', listening in to German wireless traffic and feeding the information to military intelligence at Bletchley Park. She was also a fine poet, though her poetry was not published until she was in her 90s, and with some only published posthumously. Nancy died in November 2015 in the house where she had been born. For her entire 101 year life, The Manor House in Little Tew was her family home, shared with her sister Betty, which they turned into a cultural hub for those interested in the arts and where they regularly welcomed family, friends and fellow Little Tew residents. Her life traces a fascinating path through a whole century of the social history of the village. 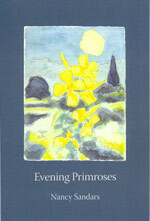 Evening Primroses is a posthumous collection of poems, published by Agenda, with a preface by John Fuller. It contains previously unpublished examples of her work from six decades, all characteristic of her sharp cultural and historical awareness, of her observant celebration of nature, and (in some moving last poems) of loneliness and loss. Copies are available at £10.